On Tuesday night, the Cardinals selected University of Hawaii second baseman Kolten Wong with their first round pick (22nd overall) in Major League Baseball’s First Year Player Draft. Immediately reactions went off across Cardinal Nation – “typical uninspired pick” versus “upside at a need position” rang throughout the Twitterverse. Future Redbirds obviously was all over things with a post covering many items that tell us more about Wong. The early comparisons have ranged from Fernando Vina (hey!) to Carlos Baerga. So which is it? Or, more appropriately, which would you prefer? Well, this graph is just a bit silly to look at, isn’t it? Holy smokes, Baerga was quick out of the gate, eh? And then…well… On the other hand, Vina, slow and steady, ups and downs. 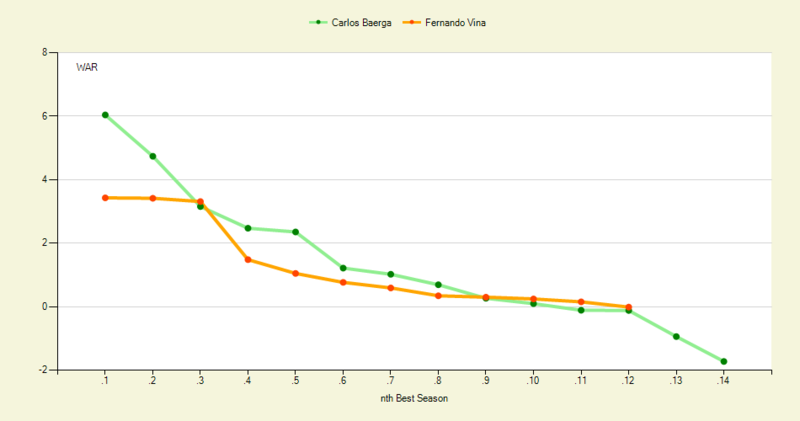 It bears noting, if even necessary, that Vina was more valuable defensively over his career. That doesn’t really present itself glaringly in any of these graphs, but worth noting, nonetheless. Ultimately, we see that the mean is more comparative here than the median. 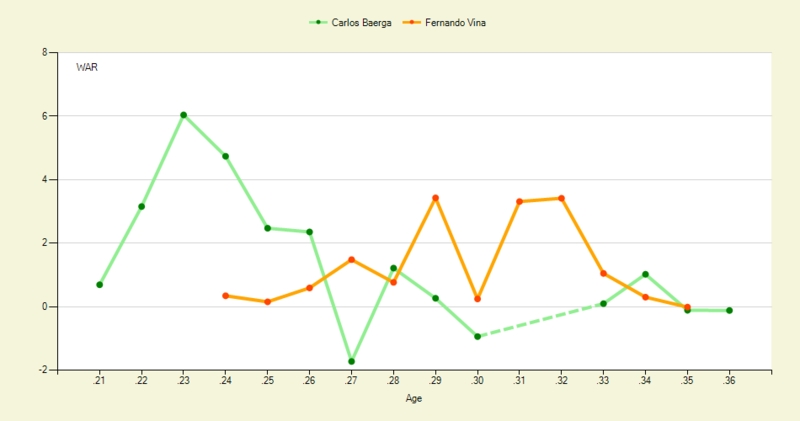 Baerga had big years, but also some extremely negative years that Vina was not subject to. 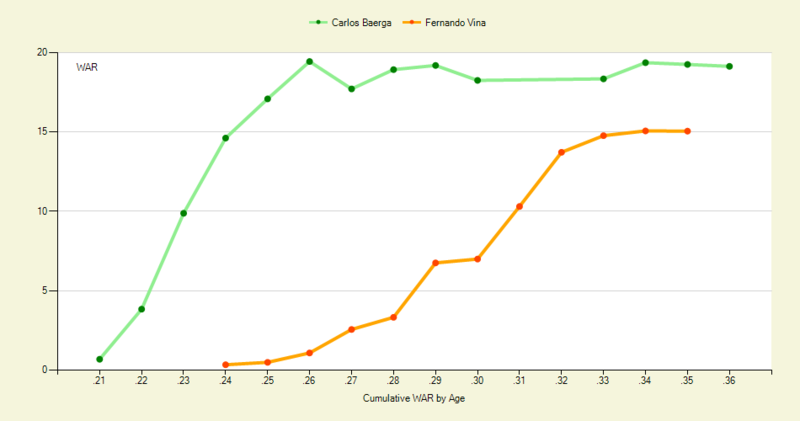 So, we’d all obviously love for Kolten Wong to turn out to be Carlos Baerga, right? (Well, maybe most of us – those scarred by this year’s defense would never wish that upon another Cardinals team.) At any rate, it’s important to remember that, for better or worse, Fernando Vina has been one of the better second basemen this team has seen in recent years (see: Cardinals Team of the Decade : 2000-2009 and Cardinals 2000 and 2010 Roster Mashup). For me, I’d be happy to see Wong turn into something in between – still some value in that, no?